What is J John's Real Name? 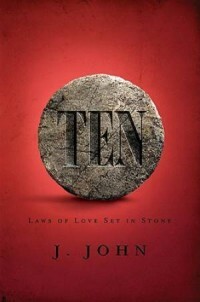 Home» What is J John's Real Name? 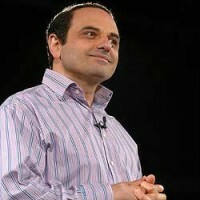 Once described in the Independent newspaper as ‘sometimes seen as ‘Britain’s answer to Billy Graham’, and by the York Press as ‘a mixture of Mr Bean and EasyJet founder Stelios Haji-Ioannou’, evangelist and preacher J John is best known in UK churches through his book TEN and Small Group Teaching Series Just10, and now his Facing the Canon DVD Live Interviews. If the media knew more about Christian teachers and teaching resources, they might have found Canon J.John and his Philo Trust’s message and methods more akin to an Anglicised Louis Gigio and his Passion Talks than any of those comparisons. 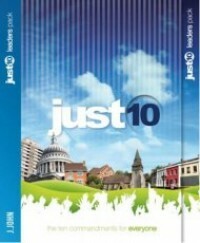 Both Atalanta’s Louis Giglio and Chorleywood’s J.John, with the organisations they head up, have mastered print, digital and broadcast media and in promoting, teaching and explaining the gospel to a modern audience. Led by the unlikely pairing of a Canon of St John’s, Hornchurch and Tim Saiet, a former Royal Marines Commando, the Philo Trust aims to spread the ‘ground breaking news that following Jesus through the twists and turns of today’s world is not about rules, regulations and rituals’, and to promote ‘a dynamic personal relationship with the God of the universe’. But who is J.John? And who is this 53 year old evangelist; author of more than 50 titles in a dozen languages, who once spoke at 32 carol services in one month, once encouraged the congregation to surrender their weapons and stolen items in amnesty – and received so many the police organised an armoured truck to take it all away, and whose collection once included £103,000 with a note: 'unpaid tax'? Originally from Cyprus, J.John’s Greek name is Iouannes Iouannon; which translates literally as John John. Converted to Christianity in 1975 after a friend introduced him to the Bible, his reputation as a preacher is now respected throughout the world. At first, his mother opposed his conversion saying he’d been brainwashed. "My brain has been washed," he replied, "and if you knew what was in my brain you'd be pleased it got washed." His preaching style is a refreshing combination of good humour, practical advice and direct Bible based life-style challenge. 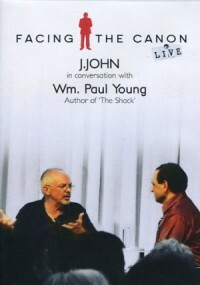 Also able to talk freely and without passing judgement, J.John's open manner is well suited to his current project, Facing the Canon: a DVD series of live interviews with people of faith and controversial figures, such as 'Shack' author, Wm Paul Young. Asked what he thought the lasting impact of his mission might be, the husband and father of three once answered, "…people in Britain are spiritual. They are interested enough to ask - Is there a God? Is there an afterlife? And if so will it make a difference to me?" "Overall if it enriches the lives of thousands of people and therefore enriches thousands of marriages and families, that will have ramifications. I think a lot of people will say it has made a huge difference."